There are a variety of different tests used to diagnose liver problems. For those concerned or at risk for hepatitis, a doctor will perform blood tests to check for a virus. Below you can find information about viral hepatitis blood tests. A test for the hepatitis A antibody lgM with a raised or positive result indicates that an individual has been infected with the hepatitis A virus within the past year. lgM antibodies are usually detectable approximately two weeks after the onset of infection. The presence of the hepatitis A IgG antibody indicates that an individual has had the hepatitis A virus at some time. This antibody becomes detectable between 8 and 12 weeks after the onset of infection, andit offers a lifetime of protection against further hepatitis A infection. Presence of the hepatitis B surface antigen indicates a current hepatitis B infection and is detectable early in the infection. 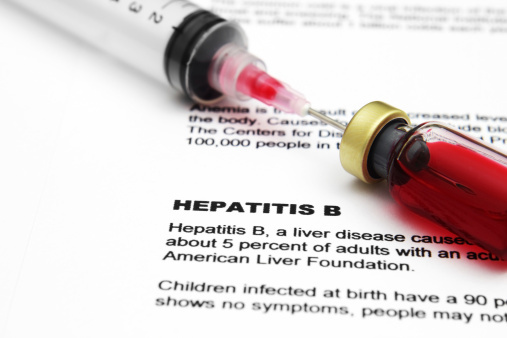 Once the hepatitis B virus has diminished, a test for HBsAg gives a negative result. The hepatitis B surface antibody is only present in individuals who have received the hepatitis B vaccine or who have recovered from the hepatitis B virus. The hepatitis Be antigen is present in an individual's bloodstream while the hepatitis B virus is active and multiplying in the body. The hepatitis Be antibody becomes detectable once hepatitis B antigen levels in the blood have dropped. HBeAb is typically present in the blood for a few years after the virus has subsided. The hepatitis B DNA test is a more accurate option for detecting and monitoring the hepatitis B virus within the bloodstream. High levels of hepatitis B DNA mean that the hepatitis B virus is currently active and multiplying in the blood and is highly contagious. Patients with chronic hepatitis B may be given the test to evaluate the effectiveness of treatment.A high level of hepatitis B DNA poses the risk for liver damage in individuals with chronic hepatitis B. The Centersfor Disease Control recommends that all Baby Boomers—individuals born from 1945-1965—be tested for the hepatitis C virus, statingthat "around 1 in 30 Baby Boomers are infected with the disease, and most don't know it." An at-home hepatitis C test, available overthecounter in many pharmacies, allows an individual to collect a blood sample at home and mail it to a lab for analysis. Studies indicate that home hepatitis C tests are as accurate in the initial detection of hepatitis C as tests performed in a doctor's office. Results from an at-home test will only identify the presence of the virus; they donot provide conclusive information about how advanced the hepatitis C virus is. Clearly Positive: This result indicates that the hepatitis C virus has previously infected or is currently infecting the blood stream. You should schedule an appointment with your doctor. Maybe Positive: This result is inconclusive and will require additional testing by a doctor. Negative: A negative result indicates that the hepatitis C virus was not detected in your blood. It is important to keep in mind that the hepatitis C virus takes some time to become detectable in the blood. If you believe that you have been exposed to the hepatitis C virus, visit your doctor for further testing. The Anti-HCV test is used to identify the presence of hepatitis C virus antibodies in the blood. Although these antibodies begin accumulating in the blood from the onset of infection, it can take as long as 3 months for blood test to detect them. The Anti-HCV test cannot differentiate between a currently active hepatitis C infection and an infection that occurred in the past. The HCV RIBA is a test given after a positive Anti-HCV test. This test can clarify whether a positive result in the Anti-HCV test was due to exposure to the hepatitis C virus or was a false indication, called a RIBA. RIBA stands for Recombinant Immunoblot Assay. The HCV RIBA test cannot distinguish whether the hepatitis C virus is currently active or wasformerly active. It only shows the presence of hepatitis C antibodies in the bloodstream. The HCV RNA test reveals if the hepatitis C virus is currently active and multiplying in the bloodstream or if the infection occurred in the past. This test is often used to assess the effectiveness of hepatitis C treatment. Positive/Detected: A positive result will occur if any viral RNA is found in the bloodstream. Negative/Not Detected: A negative result will occur if no viral RNA is found in the bloodstream. Viral load (quantitative) tests calculate the number of viral RNA particles present in the blood. This test is used prior to and throughout the duration of hepatitis C treatment to gauge the effectiveness of the hepatitis C treatment. Viral genotyping is used to identify the specific structure of the kind and genotype of the hepatitis C virus. This test is often performed prior to hepatitis C treatment to assess the probability of treatment success. Il28B (interleukin 28B)-a genetic marker that is sometimes tested to help identify a response rate to the treatment of hepatitis C for genotype 1.